MOBILITY SCOOTER - Call for Availability! **NEW LOCATION** We are now located at the Train Station 327 Railway Ave - Plenty of Free Parking!! The Best New Experience In Banff! 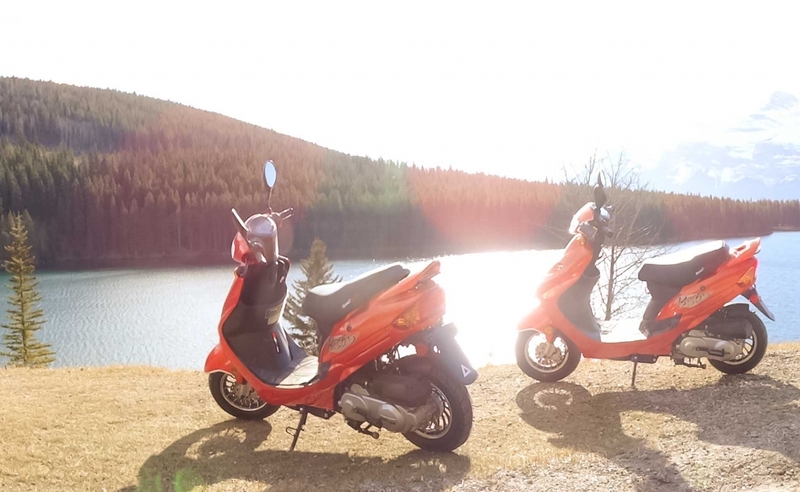 Imagine riding a scooter and exploring the majestic rockies at your own pace. Visit Lake Minnewanka, Vermilion Lakes, Tunnel Mountain, Bow Falls and of course the iconic Banff Springs Hotel. Take a leisurely ride up Sulphur Mountain to see the hot springs and gondola. So much to see! We have a fleet of new scooters just waiting for you! All our scooters are 49cc, gas powered and fully automatic. Our prices include helmet, lock and gas. Banff Scooter Company Inc was created for you. 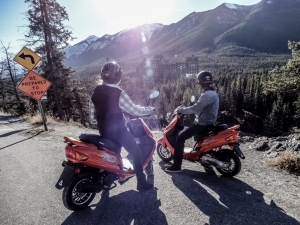 Make this the highlight of your visit to Banff! 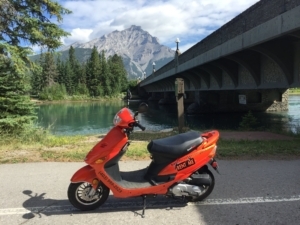 Banff Scooter Company has detailed maps of all the best spots in Banff to see including Lake Minnewanka, Mount Norquay, Vermilion Lakes, Tunnel Mountain, Bow Falls, and the Banff Springs Hotel. Now Offering Mobility Scooter Rental! 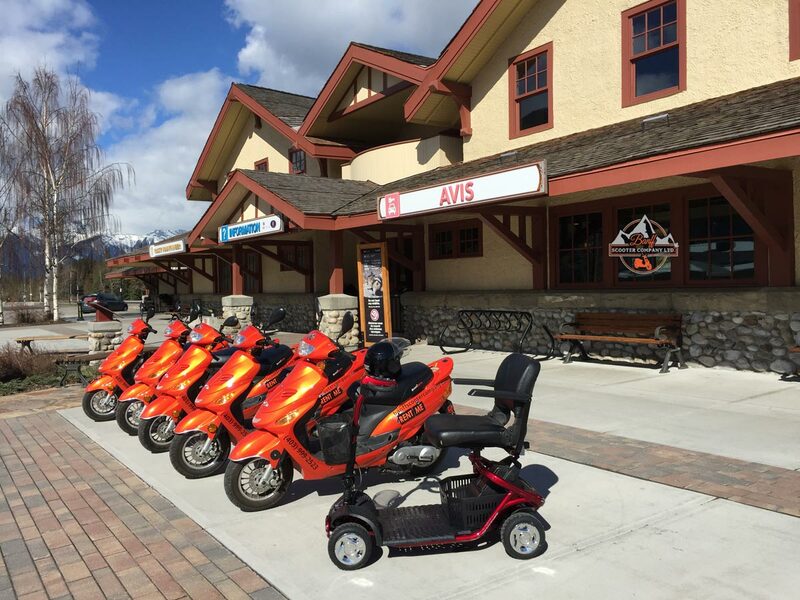 Be sure to inquire about our mobility scooter rentals during your next visit. Rentals are availiable on a daily or weekly basis.